As I have been trumpeting (excuse the noise), I released a new novel, Aftershock, this week. The book’s cover is the result of a deliberate and sustained back and forth between me and Alicia Neal, the illustrator, on all aspects of image, design, color and typography. You can read all about that process in this post on the dandy writer’s site, WriterUnboxed. The final cover took a lot of work and time, but it was worth it. 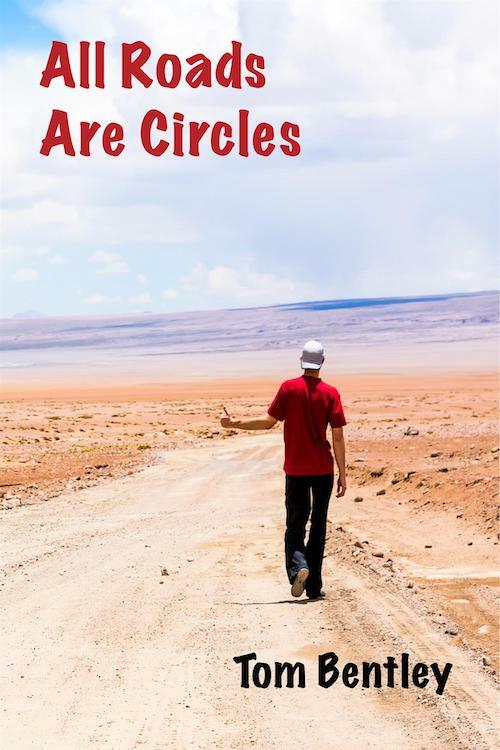 Choosing Aftershock’s cover—and finally publishing the dang thing: it only took eight years—made me revisit the cover of my first novel, All Roads Are Circles. That too was a process of give and take with the illustrator, who did approach the vision I initially had for the book’s cover, but didn’t quite get there. I take responsibility for that. I didn’t work with her in the same way I worked with Alicia, which was to initially give her a number of model covers that exemplified aspects of design and emotional impact that intrigued me and move from there. Nor did we go over the iterations of the cover with the same amount of fine deliberation that went on between Alicia and me. What I wanted in the cover was some metaphorical sense of fall and possible redemption. The novel’s final chapters are set in an apple orchard, where the protagonist has besmirched himself morally. There’s a close-to-final scene where he offers up an apple to a woman in the orchard. I wanted some resonance with Adam and Eve’s moment in the Garden, where as you recall an apple played a meaningful part. But the imagery of what I accepted as the final cover above didn’t quite hold that feeling. However, I was impatient to get book out there (never a good idea, my writer friends) and I settled for a cover that was adequate, but not inspiring. To repeat: my fault, not that of the illustrator, whom I sure could have moved the piece forward. Will Using Stock Images Put You in the Stocks? 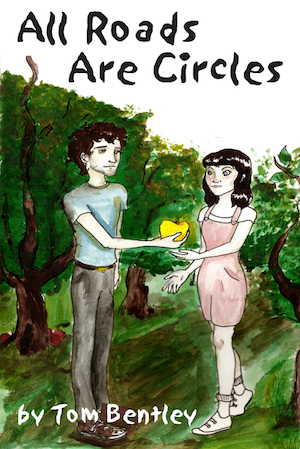 Feeling good about Aftershock’s cover made me want to work again with Circles. This time, I wanted a photographic image and not an illustration. Hitchhiking is a major theme in the book, and I thought I’d have a strong image of my own from somewhere on the road. Nope. So I spent a day or so on free and paid image sites, and finally settled on the one that’s the lead image for this post. That’s an inexpensive iStock image that allows royalty-free commercial use. The photo worked perfectly for the feeling of a forlorn hitchhiker on a lonely road. It was also large enough to wrap around for both a spine and a back cover. My galpal Alice, who has good experience with graphic design, worked it up into the cover you see. I searched for it using Google’s reverse image search to see if it appeared on any book covers, but couldn’t find evidence for that or from other searches.